Relive the life and times of Mahatma Gandhi through the NFAI Exhibition at IFFI 2018 … “Mahatma on Celluloid” Multimedia Digital Exhibition at IFFI 2018. 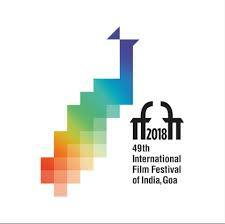 GOA, 19 th NOVEMBER 2018: As India is celebrating the 150th Birth Anniversary of the Father of the Nation, Mahatma Gandhi, IFFI ‘2018 will pay a befitting tribute in the soon to be held festival. The National Film Archives (NFAI) of India in collaboration with the Bureau of Outreach and Communication is organizing a multi-media digital exhibition as a tribute to the Mahatma, who inspired countries around the world with his philosophy of Truth and Non-Violence (Satyagraha and Ahimsa). Titled “Mahatma on Celluloid”, the exhibition provides a state-of-the-art digital experience to the viewers who can relive the life and times of Mahatma, and draw inspiration from his ideals and work. The exhibition will be inaugurated by Col. RajyavardhanRathore, Minister of State, (I/C), Information& Broadcasting in presence of Secretary, Mr. Amit Khare.The exhibition will showcase films on Gandhi such as Making of Mahatma and Gandhi on 35 mm screens installed at the venue. The exhibition will also host quizzes, games and interactive events, which will provide the visitors the patriotic fervor by transporting them into the bygone era of freedom movement of India. The exhibition will run throughout the festival. The launch of the exhibition is scheduled for 10:15 am on 21st November’18 at the Kala Academy and is open for public.